The Dynamic panel is a container widget. In a prototype’s screen it holds other UI elements. The Dynamic Panel is used to display different content elements within the same region of a screen (e.g. navigation tabs, pop ups etc.). 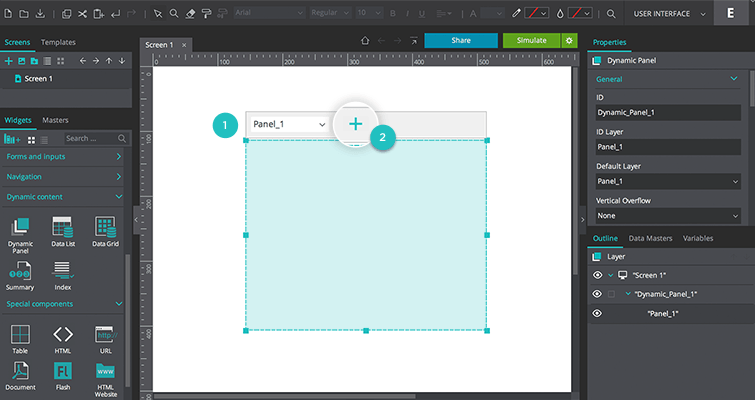 Dynamic Panel widgets consist of a panel (container) or set of panels. 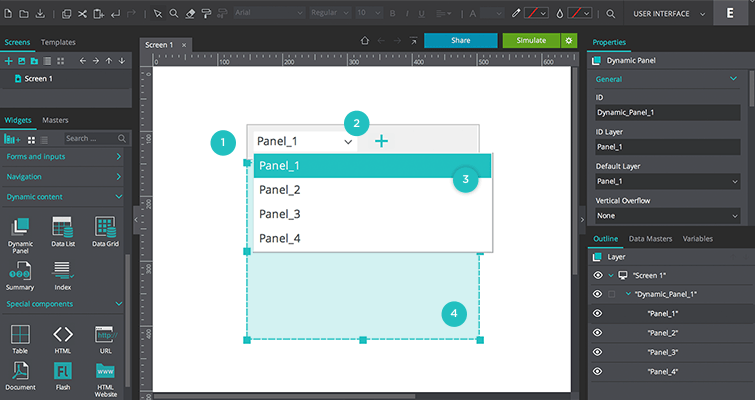 Each Dynamic Panel has a single panel by default, but more can be added once the Dynamic Panel is dragged to the Canvas. 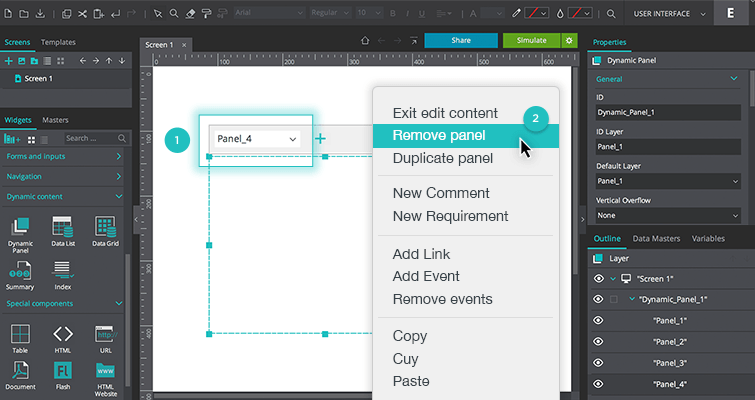 Only one panel can be displayed at a time, and any additional panels are hidden until selected by the user. You can only view and work on one panel at a time. If your Dynamic Panel has multiple panels, you will need to select the one you wish to view and work on from a drop-down list. 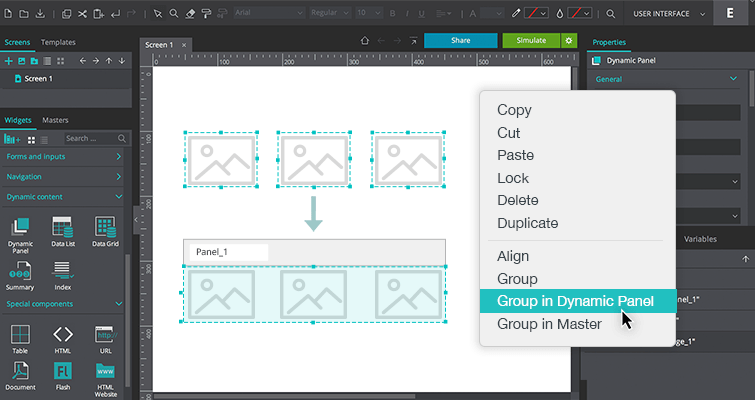 Note: if you remove a panel from a Dynamic Panel, any UI elements that it contains will permanently deleted. If you click “Delete”, you will delete the entire Dynamic Panel and any UI elements that it contains. Panels are labelled numerically when created (i.e. Panel 1, Panel 2 and so on), but their names can be changed manually. Note: if you change the “ID” you are changing the name of your Dynamic Panel, not the currently selected panel. As mentioned above, every Dynamic Panel has a default panel, which will be displayed first upon simulating the prototype. 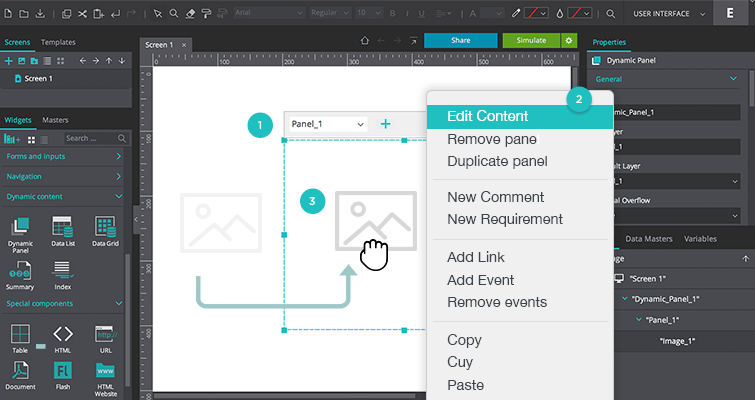 When a Dynamic Panel is added to the Canvas, the default panel is Panel 1, but this can be changed manually. 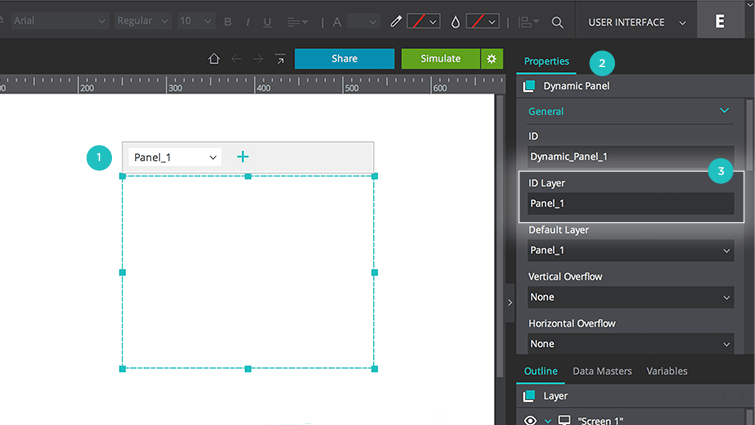 You can add as many UI elements as you like to a Dynamic Panel. Note: you can also select the UI elements from within the Outline palette and create a group (Right click, “Group in Dynamic Panel”). 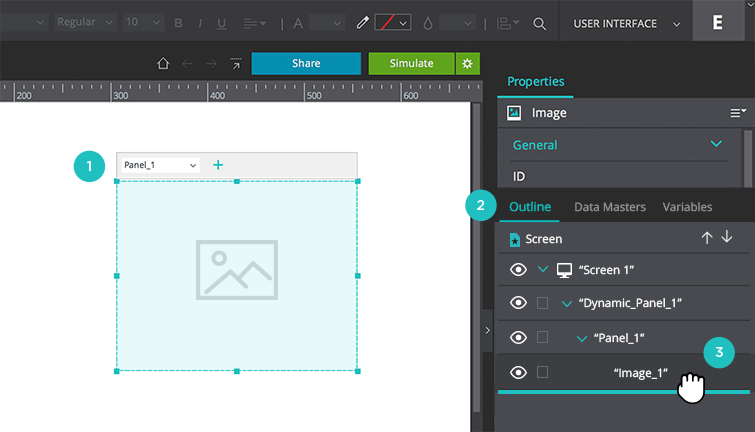 Make sure the panel containing the UI element is active and drag the item out of the Dynamic Panel. 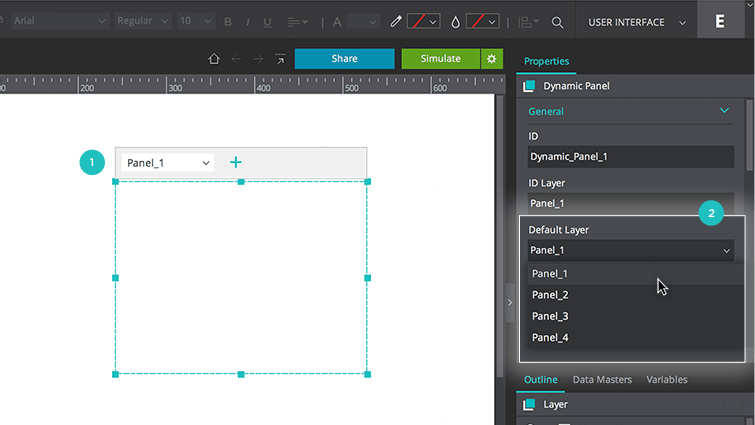 Or, go to the Outline palette, select the object and drag it out of the Dynamic Panel.